Grinding your teeth may not be something you worry about, especially if you don’t catch yourself doing it. However, the problem with bruxism is that patients who have it don’t always realize they’re grinding their teeth. That’s because bruxism describes a condition that causes you to forcefully rub your teeth together unconsciously. In fact, for many patients, it occurs most often while they’re asleep. However, over time, the continuous act of grinding your teeth can cause other signs to show up, including increasingly worse damage to your tooth structure. For patients in Butler, PA, who experience bruxism, we can often address the problem comfortably and conveniently with a custom-designed oral appliance. Bruxism is more than just an overactive teeth-grinding habit. 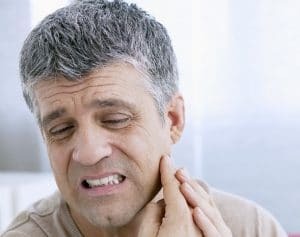 Most often, it’s the result of an underlying dental health condition or bite issue. For instance, if your teeth are crooked and your bite can’t operate comfortably, then your overstressed jaw joints and muscles can cause you to grind your teeth. In such cases, overcoming bruxism for good may require personalized treatment for its cause as well as a custom-made appliance to protect your teeth. The first step to treating your bruxism is for your dentist to diagnose it, which will require a thorough examination of your teeth and oral structures. If your teeth exhibit signs of excessive wear or damage that is consistent with grinding, then you and your dentist can work together to determine the cause of your bruxism and the most appropriate solution. While the specific treatment plan will depend on the unique cause of your bruxism, most patients can benefit from a custom-made appliance designed to protect their upper and lower teeth from grinding. The most important thing to remember about bruxism is that your dentist can help you treat it before it causes significant damage to your teeth and dental health. For more information, schedule an appointment with your dentist by calling Keelan Dental in Butler, PA, at (724) 256-4612. Our Smile Certified experts happily serve patients from Butler, Cranberry Township, Mars, Pittsburgh, Butler County, and all surrounding communities.